Following its global unveiling early this year, Philips has launched its new Hue outdoor smart lights in Australia, stocked by retailers such as JB Hi-Fi and Bunnings. Compatible with Google Assistant and Amazon Alexa voice commands, the outdoor lights incorporate into existing Philips Hue routines. Users can program the lights to turn off when leaving home, or trigger remotely when away for the security conscious. 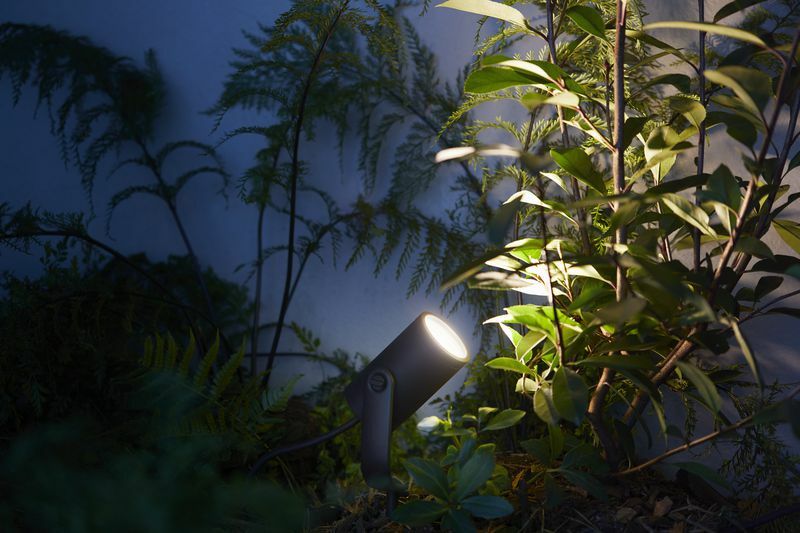 The new outdoor ‘Spot’ and ‘Pedestal’ lights are weatherproof with an IP65 rating, and range from $129 – $219. Like its indoor counterparts, the outdoor smart lights can offer either a warm white light or display one of ’16 million colours’. In addition to hands-free voice commands, the smart lights are controllable via the Philips Hue smartphone app.